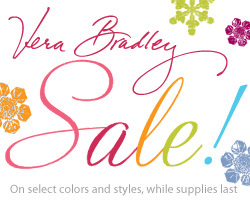 Retiring Vera Bradley Sale in Progress! 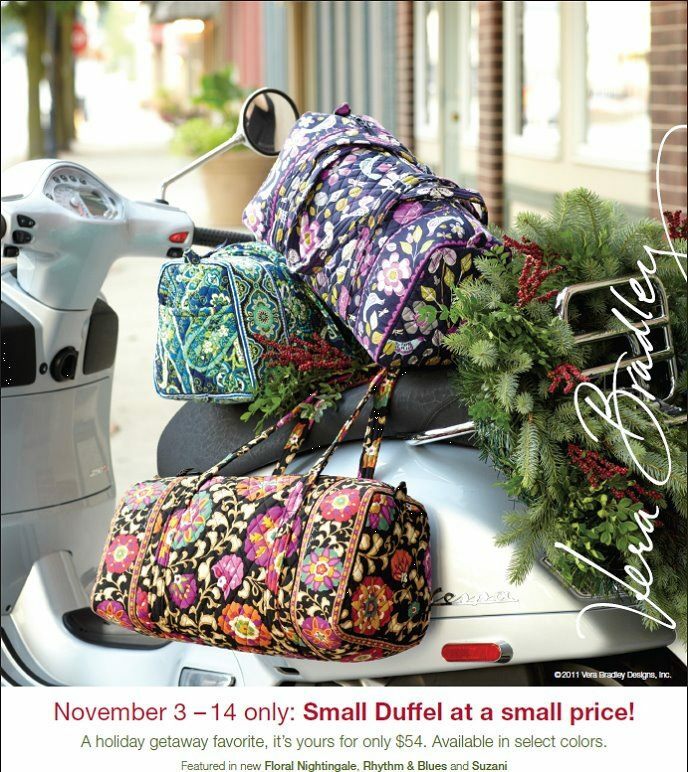 ‎25% Off Retiring Vera Bradley styles and colors beginning Wednesday, November 23rd! Retiring Styles-Little Betsy, Betsy, Boweler, Emma, Alice and more! Christmas Wishes Can Come True! You make help make the Christmas Season a little less stressful for your friends and family, by simply completing our Christmas Wishes list. Just stop by one of our locations and tell us your Ivy Ridge wishes. 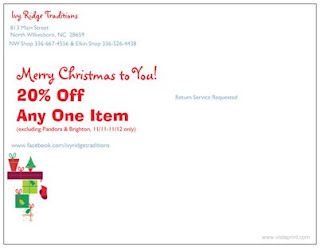 We will send a note by mail to that special person or person(s) that you designate telling them to stop by. 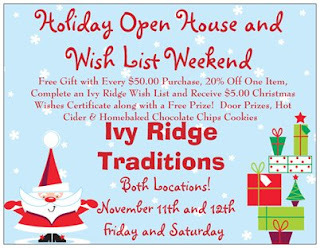 You can also choose one to receive a $5.00 Christmas Wishes Gift Certificate to use towards their purchase of anything on your list. We look forward to seeing you soon! Sm Vera Bradley Duffel on Sale! 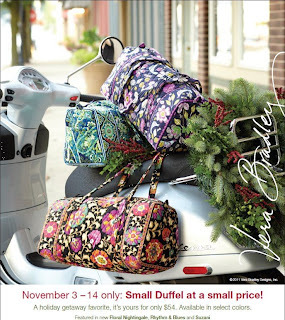 Stock up now for the holidays with Vera Bradley's "Small Duffel", yours for only $54...$15 below the suggested retail price! Use as an everyday gym bag or as a small overnighter. With its 15" straps and outside end pocket, Vera's "Small Duffel" is a timeless classic that girls of every age will appreciate! Sale ends November 14, so hurry in and get yours TODAY! Limited to current in-shop items at both locations.